CORONADO, CA--(Marketwire - Jan 26, 2012) - With Valentines' Day just around the corner, couples from coast to coast are looking for the perfect romantic getaway -- and Coronado Island fits the bill. A favorite among San Diego locals, this relaxed California beach town features a flat sand beach, spas, art galleries and yacht marinas, as well as a tree-lined, mile-long Main Street. In fact, exploring Coronado by bike is a wonderful way for couples to see the sites and spend quality time with one another. Located just across the bay from downtown San Diego, the Coronado Island Marriott Resort & Spa offers a balance of a relaxed waterfront lifestyle, modern-day conveniences, and through the end of 2012, a spectacular "Romance at a Coronado Island Resort" package. Through December 31, 2012 and starting at just $349/night*, the hotel package includes luxurious accommodations with a King-sized bed, sparkling wine upon arrival, complimentary bike rentals, and breakfast for two through room service or at Current, the resort's restaurant. Reservations for this exciting package can be made at http://www.marriott.com/hotels/hotel-deals/sanci-coronado-island-marriott-resort-and-spa/ with promotional code ROM. Guests may also call 800-721-6996 with the same promotional code. When it comes to an affordable getaway at a bay resort in San Diego, CA, the Coronado Island Marriott Resort & Spa can't be beat. One of the most popular Coronado resorts, the Coronado Island Marriott Resort & Spa features an outdoor swimming pool and whirlpool with breathtaking views of the San Diego skyline. Only minutes from sandy beaches, shopping and restaurants, this Coronado Island resort's accommodations offer premium access to everything this well-known beach town has to offer. Guests enjoying the romantic package can also stay active at the hotel's sport court, on-site fitness center, outdoor heated pool or whirlpool. * Valid seven days a week through 12/31/12. Limited number of rooms are available for this promotion. Tax is additional. Offer does not apply to groups of 10 or more rooms. Offer cannot be combined with any other promotions. Blackout dates may apply. Advance reservations required. Other restrictions apply. Rates are per room, per night and based on availability at the time of reservations. A popular choice among Coronado Island hotels, San Diego Bay's Coronado Island Marriott Resort & Spa features many amenities, including an intimate spa, three heated pools and tennis courts. 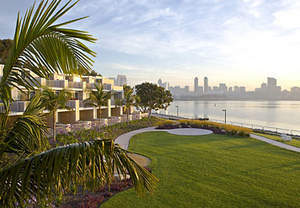 Set on 16 waterfront acres, the hotel offers guests indoor and outdoor venues for meetings and celebrations, and boasts 273 rooms and 27 suites on 3 floors, plus 23 meeting rooms with 25,000 square feet of state-of-the-art meeting space, valet dry-cleaning, and available limousine service.